Front Tyres 175 / 70 R14 ? 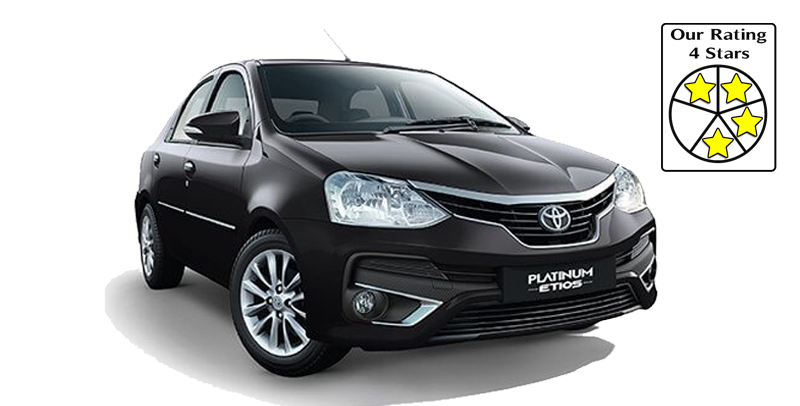 Toyota Platinum Etios prices start at Rs. 6.81 lakh for petrol and goes upto Rs. 7.81 lakh. The prices of Platinum Etios diesel variants start at Rs. 7.90 lakh and the top-end diesel is priced at Rs. 8.91 lakh. Toyota Platinum Etios is available in 6 variants and 6 different colours - Vermilion Red, Silver Mica Metallic, Celestial Black, Harmony Beige, Classic Grey, New Pearl White.